Is your company doing business in the US market? If you’re not filing IRS Form 5472, you could face large penalties. The United States continues to see more investment from foreign companies and individuals who want a business presence here. When a foreign company decides to conduct business in the U.S., not only must it decide what legal entity structure to use, but after the entity is established, it must comply with all applicable U.S. tax laws. Filing the right tax returns and informational forms is critical to avoiding penalties. For the purposes of this post, a foreigner is a corporation from outside the U.S. or an individual who is not a U.S. citizen or a resident. Generally, foreigners can use two types of legal entities in the US market to conduct business here: a limited liability company (LLC), or a C-corporation. Form 5472 is a separate filing requirement from the U.S. entity’s obligation to file income tax returns under the U.S. Internal Revenue Code (Code). This form must be attached to the reporting corporation’s federal income tax return. It requires certain information disclosures about the corporation’s foreign shareholders and any transactions between it and such shareholders during the tax year. For example, two shareholders, one from the U.S. and one from Germany, form Reliant Panel, Inc., to manufacture industrial control panels in the U.S. They each own 50% of the company’s shares. Under the Code, Reliant Panel must file Form 5472. In addition to filing Form 1065 (U.S. Return of Partnership Income), a partnership with foreign partners could be responsible for complying with other filing requirements such as Foreign Investment in Real Property Tax Act of 1980 (FIRPTA), Partnership Withholding, and Nonresident Alien Withholding. A partnership that has income effectively connected with a U.S. trade or business is required to pay a withholding tax on the effectively connected taxable income that is allocable to its foreign partners. A foreign partner is anyone who is not considered a U.S. person, which includes nonresident aliens, foreign partnerships, foreign corporations, and foreign trusts or estates. The partnership must pay the withholding tax regardless of the foreign partner’s U.S. income tax liability for the year and even if there were no partnership distributions made during the year. Withholding tax must be paid on a quarterly basis. When a U.S. LLC has a single owner (defined in U.S. law as a “member”), it is disregarded as an entity separate from its owner (“disregarded entity”). 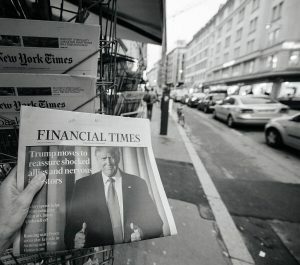 Newly issued regulations treat such disregarded entities as domestic corporations rather than as disregarded entities for the purpose of the foreign reporting requirements. Under these new rules, such disregarded entities are required to file Form 5472. For example, Forco, Inc., a Polish corporation, forms Domeco LLC in New York, a wholly-owned LLC that is treated as a disregarded entity for income tax purposes. Under prior IRS rules, Domeco had no foreign reporting obligations. However, under the new regulations Domeco is required to file Form 5472. Form 5472 requires the disclosure of the foreign shareholders’ names, address and country of citizenship, organization or incorporation, principal business activity, and the nature and amount of the reportable transaction(s) with each foreign shareholder. Whether a reportable transaction has occurred is a complex determination. 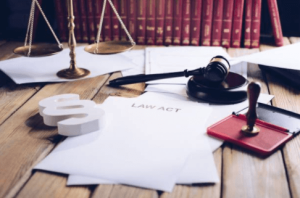 For example, a loan to a U.S. LLC by the foreign shareholder is considered a “reportable transaction” and requires the disclosure on Form 5472. In general, a reportable transaction is any exchange of money or property with the foreign shareholder, except for the payment of dividends. Why is filing Form 5472 is so important? Penalties for failure to file information returns are separate from payments relating to underpayment of income taxes. 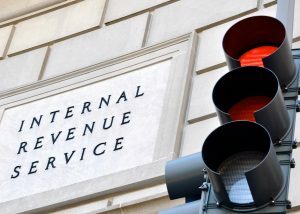 Under certain circumstances, the penalties for failure to file information returns can be significantly greater than the U.S. income tax liabilities. Failure to maintain the proper records, failure to file the correct Form 5472, or failure to file a required Form 5472 may result in a $10,000 penalty for each failure per tax year. Additionally, if a failure to file continues for more than 90 days after notification of a failure to file by the IRS, an additional $10,000 may apply for each 30-day period, or fraction thereof, that the failure continues. These fines can’t be appealed to the IRS! That is why foreigners doing business in the U.S. are strongly encouraged to consult with their tax advisors and ensure compliance with all U.S. tax and reporting obligations. 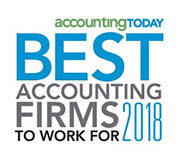 Whether you’re new to investing in U.S. companies or quite experienced, it is always important to have knowledgeable CPAs behind you to ensure that you are making the right moves when it comes to complying with the often confusing U.S. tax code. The experts at KRS CPAs are here to guide you through tax season and beyond. 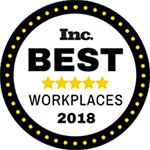 For more information or to speak to one of our partners, give us a call at 201.655.7411 or email me at [email protected]. Special thanks to attorney Jacek Cieszynski for his assistance in developing this post. Now is the time to contact vendors for any missing W-9 forms, so that you have a less frenetic year-end. In fact, we recommend that you obtain a vendor’s W-9 before you pay any of their invoices. Don’t wait to the end of the year to begin the process. If your company uses independent contractors, you need to send them a 1099 form for their taxes.The IRS requires anyone providing a service who is not an employee and was paid $600 or more during the year, to be issued a 1099. There are exceptions for attorneys who have no dollar threshold, and payments to corporations, which are exempt from 1099 reporting. Get detailed instructions for completing Form 1099-MISC. Electronic filing requires software that generates a file according to IRS specifications. When reporting nonemployee compensation payments in box 7 of Form 1099-MISC, the due date remains January 31, 2018. Withhold payment to any vendor who has not provided your company with an updated Form W-9. Keep an electronic file of all W-9 forms received. Incorporate the Form W-9 requirement in your initial vendor setup and contract agreements. Remember, taxpayers may be subjected to fines for late 1099 forms, missing forms, or wrong/omitted taxpayer information. To ensure a stress-reduced year end, start collecting any missing taxpayer information during these summer months. From 1099s to 1040s and more, we believe in making tax season as stress-less as possible for our clients. Contact me at [email protected] to learn more about our proactive tax planning and preparation services. For closely held corporations still taxed as C corporations, the opportunities to avoid future taxes should be considered. When converting a C corporation to an S corporation there are a number of tax issues that must be addressed. A C corporation is taxed on its taxable income at federal rates up to 35%. Distributions of qualified dividends to individual shareholders are taxed again at a federal rate as high as 23.8% (the tax rate on qualified dividends is 15% or 20%, depending on certain adjusted gross income thresholds with an additional 3.8% surtax on net investment income for taxpayers with adjusted gross income over certain thresholds). If a business elects to be taxed as an S corporation, there is only one level of taxation, at the shareholder level. Generally, items of income, deduction, gain or loss from a pass-through entity pass through to its owners, while the entity itself is not subject to tax. The S corporation may therefore be favorable as it avoids double taxation. The S election requires the unanimous consent of the shareholders and is effective for any year if made in the prior year or on or before the fifteenth day of the third month of the year. Some states, such as New York and New Jersey, require a separate election be filed, while some states follow the Federal tax classification. The excess of the fair market value of the assets over their adjusted basis at the time of the S election is considered “built-in gain.” If any of this built-in gain is recognized during the 5-year period beginning with the first tax year for which the corporation was an S corporation, such gains remains subject to corporate-level tax. Any appreciation of assets that occurs post-S corporation election, is subject to only one level of taxation. XYZ, Inc., a C corporation, was converted to an S corporation on January 1, 2017. On the date of the conversion, it owned real estate with a fair market value of $3 million and an adjusted basis of $2 million. The corporation’s net unrealized built-in gain would be $1 million. 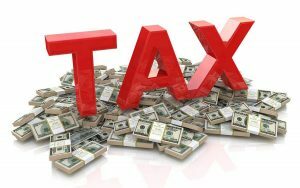 If the corporation had taxable income of $1.5 million and sold the real estate asset in 2019, the corporation would be subject to the built-in gains tax of $350,000 ($1 million x 35%). However, if the built-in gain assets were sold in 2023, the built-in gains tax would be a non-issue (zero built-in gain tax), since the fifth year of the recognition period passed. For more about real estate and C corps, see my post Do You Hold Real Estate in a C Corporation? If an S corporation was previously a C corporation, it may have accumulated Earnings & Profits (“E&P) from years when it was a C corporation. A potential problem for an S corporation with E&P is the passive investment income tax. 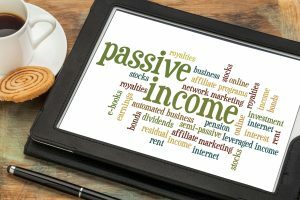 If gross passive investment income (which includes income from interest, dividends, and certain rents) exceeds 25% of gross receipts, the corporation may be subject to tax on its net passive investment income. This is fairly common when a taxpayer makes an S election for a C corporation that owns rental real estate. In a year where an S corporation has both E&P and excess passive investment income, some of the excess net passive investment income may be subject to the tax at the highest corporate income tax rate. This does not apply to a year in which there is no taxable income. The S corporation will still have a problem if there is no taxable income and the passive investment income tax does not apply. If the S corporation has both E&P and excess passive investment income for three (3) consecutive tax years, the S corporation status is revoked on the first day of the fourth year. The double taxation of C corporation income is very tax inefficient. With proper tax planning, the owners of a C corporation can minimize their total taxes by converting the corporation to S corporation status. As always, KRS CPAs is here to help you. Contact me at [email protected] or 201.655.7411 for assistance with C corporations and tax planning. President Trump has proposed a detailed tax plan that will revise and update both the individual and corporate tax codes. Here are some of the key plan elements that could affect individuals and small business owners, if enacted into law. Currently the 2017 top tax rate on ordinary income is 39.6%. Under the Trump Tax Plan, the top rate on ordinary income will drop to 33%. He has also proposed lower rates throughout all tax brackets. More taxpayers will pay the 20% tax capital gains. This 20% rate will kick in for all taxpayers in the top bracket ($127,500 if single and $255,000 if married filing jointly). Currently this rate doesn’t kick in until you earn more than $425,400 if single and $487,650, if married filing jointly. Trump plans a single 15% tax rate for business income, whether the business is an S-corporation, partnership or Schedule C. Because sole proprietorships qualify, we may see more wage earners become self-employed business owners. Under the Trump plan we would also see a 100% expensing of all asset acquisitions, with no limitation. For individual taxpayers, Trump is planning an overall limit on itemized deductions of $100,000 if single, and $200,000 if married filing jointly. 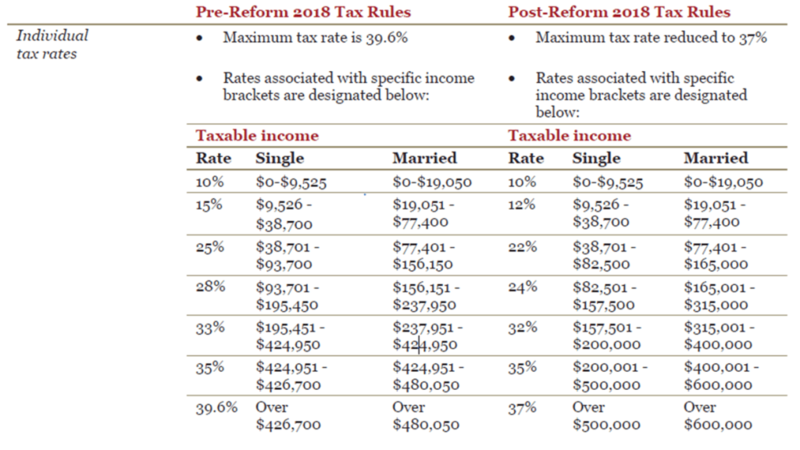 Currently, itemized deductions are reduced by 3% for every dollar the taxpayer’s income exceeds $250,000 if single, and $300,000 if married filing jointly. Trump has proposed eliminating the estate tax. Still up for discussion is the gift tax or whether the estate tax will be eliminated all at once or phased out over time. Also, there would be no step-up in basis. It is unclear if under Trump’s plan the heirs would take the assets at the decedent’s basis or if appreciation on the assets is taxable at death. 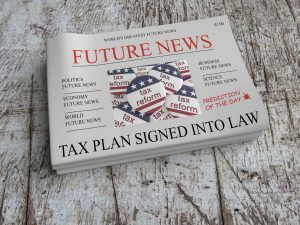 The plan increases the standard deduction from $6,300 to $15,000 for singles and from $12,600 to $30,000 for married couples filing jointly. It also taxes carried interest as ordinary income. Reduction in the corporate income tax rate from 35% to 15%. Elimination of the corporate AMT. Elimination of the domestic production activities deduction (Section 199) and all other business credits, except for the research and development credit. Implementation of a deemed repatriation of currently deferred foreign profits, at a tax rate of 10%. Of course, these were campaign proposals and we don’t know if they will become law. KRS CPAs will keep you updated on important revisions to the tax code via email radar and blog posts. If you aren’t already registered for our email radars and newsletter, sign up here. In my last post I reported on key federal tax changes that small business owners need to know about. This post covers three significant tax changes in New Jersey. The New Jersey Sales and Use Tax will be reduced in two phases between 2017 and 2018. The rate decreased from 7% to 6.875% on and after January 1, 2017. The tax rate will decrease to 6.625% on and after January 1, 2018. Leases in excess of 6 months entered into before 1/1/2017, use 7%. Lease extensions or renewals after 1/1/2017, use 6.875%. If an agreement is less than 6 months – use 6.875% for all periods that begin after 1/1/2017. Construction materials delivered after 1/1/2017, use 6.875%. If the construction materials are for use in unalterable building contracts entered into before 1/1/2017, the seller must collect 7%. Service or maintenance agreements entered into before 12/31/2016, seller must charge 7%. This is regardless of whether or not the agreement covers periods after 1/1/2017, unless the bill for such services was issued after 1/1/2017. KRS Tip: Check all your vendor invoices to ensure you’re being charged the correct amount, before you pay the invoice. If it is the incorrect amount, have the vendor revise the invoice. If you go ahead and pay the incorrect amount, it is your responsibility to go back to the state – not the vendor – to get a refund. 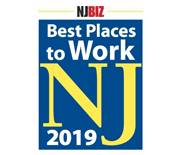 Under the UEZ designation, businesses in certain economically distressed areas are eligible for incentives, including tax free purchases on capital investments, tax credits to hire local workers and the ability to charge just half the statewide 7% sales tax. The UEZ designations for Bridgeton, Camden, Newark, Plainfield and Trenton were permitted to expire. These zones can no longer collect sales taxes at reduced rates. A NJ resident who dies and has assets worth more than $675,000 has had his or her estate subject to NJ estate tax. That may sound like a lot of money, but if you own even a modest home in the northern part of the state, you’ll probably hit the $675,000 threshold. As part of the bill that raised the gas tax in the state, the exemption will increase from $675,000 to $2 million for estates of residents dying on or after 1/1/2017 and before 1/1/2018. We expect that the increased exemption will change if there is a democratic governor elected this year. New Jersey tax regs grow increasingly complex and it can be hard for business owners to know how to save taxes. At KRS we assist our clients in minimizing tax liabilities by providing them with comprehensive tax planning, preparation and compliance services. Contact partner Maria Rollins at 201.655.7411 or [email protected] if your company needs expert advice and assistance with its 2016 taxes.